Just in time for the opening of classes on June 4, SM Malls in Bulacan recently joined Department of Education’s (DepEd) nationwide program “Brigada Eskwela”. 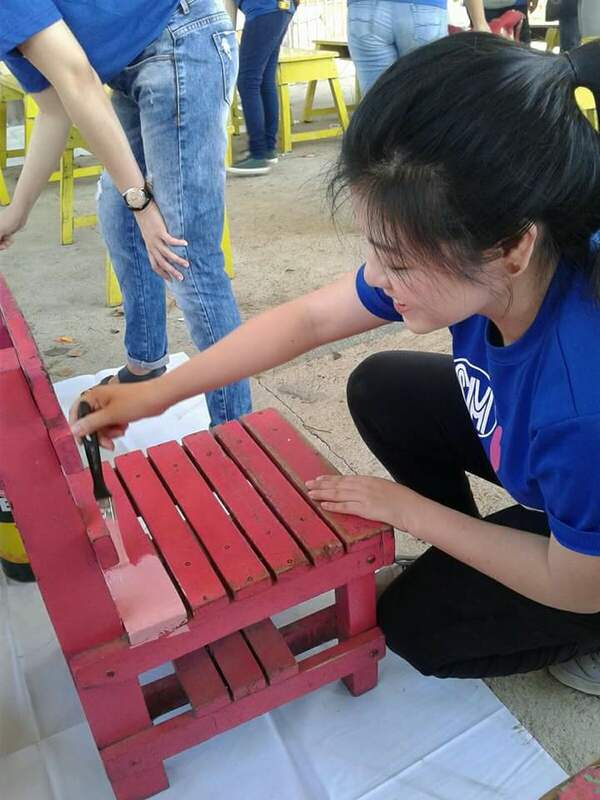 Volunteers from each mall joined hands in preparing and cleaning classrooms of public schools in Marilao, Baliwag Pulilan, and San Jose Del Monte. Various activities ranging from carpentry work, paint jobs, repairs and replacements were assigned to volunteers to ensure school grounds are clean, safe, and conducive for learning. “The Brigada Eskwela is one of SM’s way of giving back to the communities we serve”, shares SM Human Resources Manager Prescila Salamat. She also added that the activity is a perfect way of engaging employees in projects that drive change in society. In Baliwag and Pulilan, the rundown classrooms of Liciada Elementary School and Balatong Elementary School were masterly restored and given a make-over. SM City Baliwag and SM Center Pulilan volunteers gave classrooms a brand new look by cleaning, repairing chairs and desks, and painting colorful murals. Beneficiaries also received cleaning materials and supplies for ceiling repairs and painting of canteen roof. SM City Marilao, on the other hand, brought back vibrancy into the nearby AFGBernardino Memorial Trade School. The two storey building with classrooms, which have been donated by the SM Prime Holdings Incorporated twelve years ago, got a touch up in the form of fresh wall paint, new murals, dust-free chairs and tables, repaired jalousie windows, and sanitized comfort rooms. Aside from transforming classrooms, SM City Marilao volunteers likewise shouldered expenses needed for the cleanup and restoration of school grounds that include pavement gutters, fences and corridors. Electric fans were likewise donated. Vibrant colors, on the other hand, were painted by volunteers of SM City San Jose Del Monte on walls and facade of Tungkong Elementary School. 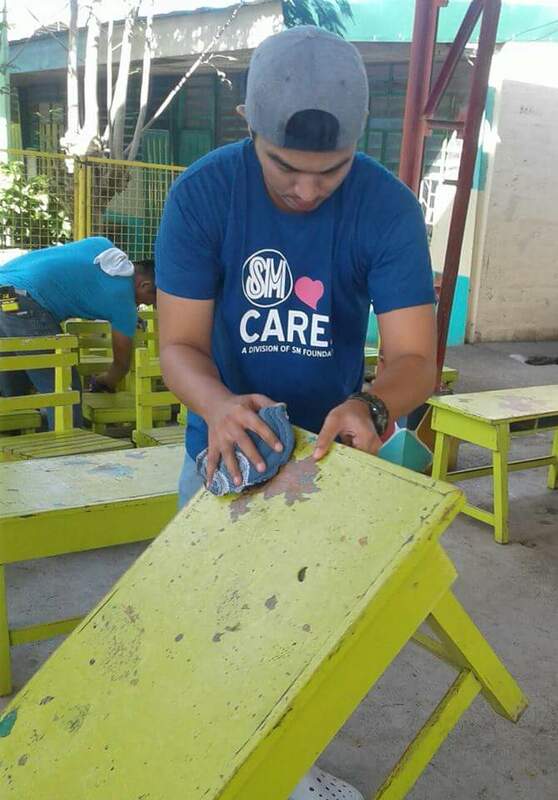 The two-storey building which was donated by SM Foundation Inc two years ago were given a makeover by painting walls, ceiling, and hallways; repairing chairs and tables and securing school facilities. “Brigada Eskwela is not just an obligation of the government, teachers, and parents, it is a responsibility of each and every individual” shares SM City San Jose Del Monte Building Administration Manager Engr. Jose Salazar. Brigada Eskwela is one of SM’s annual volunteerism project spearheaded by the Human Resources Department in collaboration with SM Cares and the mall’s Customer Relations Service Department. The program aims to help communities in preparing a better learning environment for students while maximizing civic participation of SM employees. A total of 500 SM employees in Marilao, Baliwag Pulilan, and San Jose Del Monte took part in the school rehabilitation.